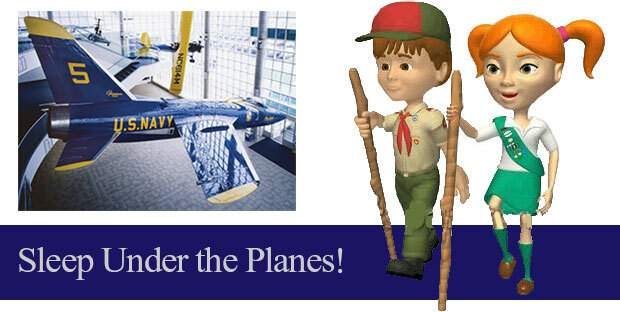 Overnight programs include: guided activities designed to help scouts complete components of merit badges, belt loops, pins and girl scout badges, a Planetarium Show or Dome Theater Film, time in the Museum Store, bedtime snack, light breakfast and a Cradle of Aviation Scout Patch. Minimum of 50 people required to secure a night. One adult per four children in the group minimum. Our current overnight rate is $50.00 per person. Please call Reservations for available dates or use the form below.